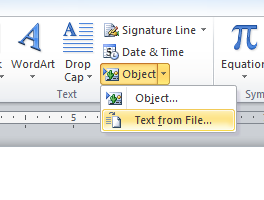 In office 2010 when I'd go to pull in a picture to the document by adding a picture from a network share the picture would become part of the doc and not be retrieved every time the document opened. The solution was to add some html to the document. Once that is done, save and open the document, if all is well you'll see the SMB requests to the network share you specified and if you are running the smb capture module you should see some traffic. Screenshot below shows the goods...I do realize the LM hashes are missing from smb capture screenie (disabled on windows 7?) but i was too lazy to install office on a VM just for the screenshot. If this doesnt work for anyone let me know. Part II of the articles based on my Hacking Oracle Web Applications talk was posted on EthicalHacker.net today. Head over there to check it out.